For the Burndy lead my first thought was to pick one up from ebay, but there was nothing available when I happened to be looking, at least not at a 'sensible' price! 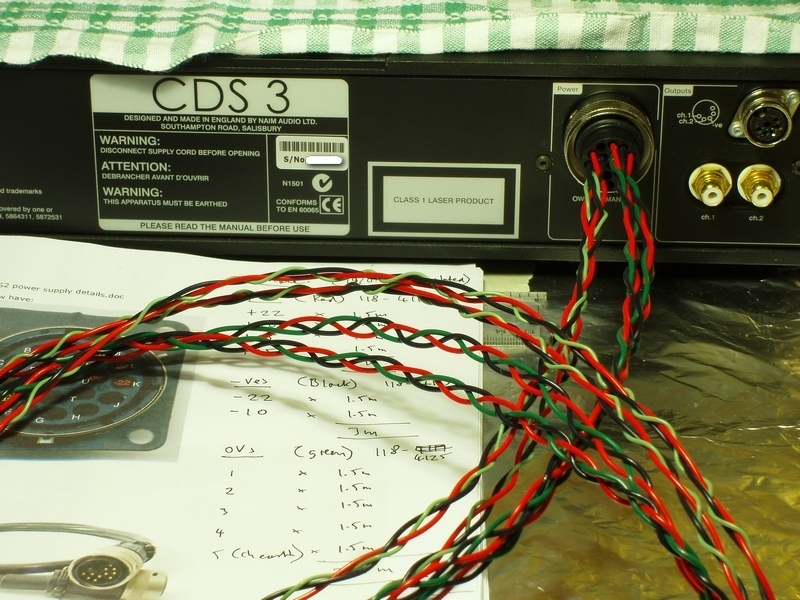 I believe a brand new lead from Naim will set you back £395 (which is probably more than it's cost me to build this entire psu) so more DIY was the obvious option. But which 0v connections match to which rail voltages? E(0): GND mekka, directly connected to analog 0. 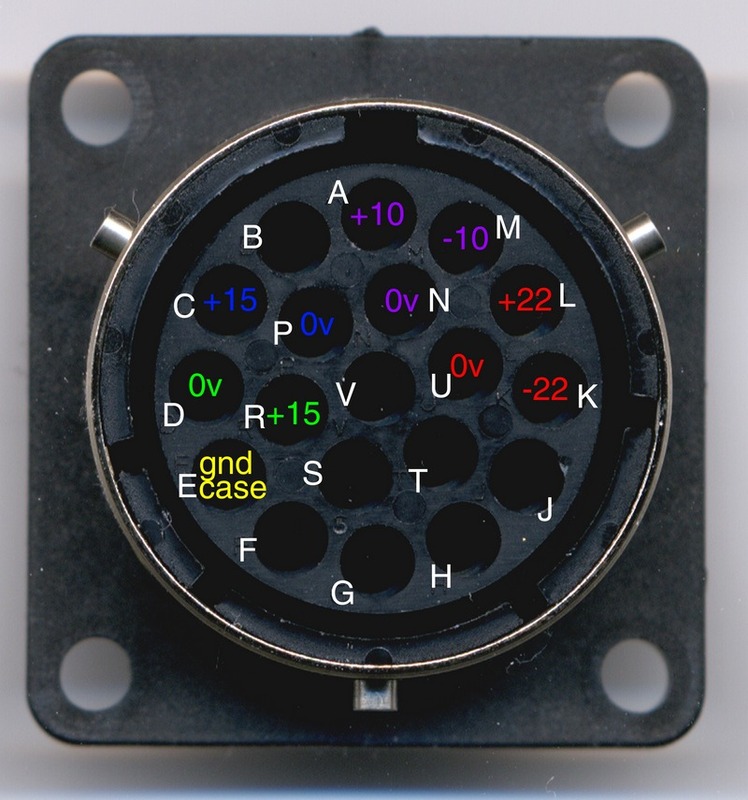 Perhaps the (dirty) digital and motor grounds (D and P) connect via a small isolation-coils. I couldn't see any of those on the board though. I've no idea what's in the Naim Burndy lead, whether it's screened or contains any 'special' ingredients. For my version I just wanted to make sure it had reasonably low impedance. It consists of four bundles of wires, each wire of 19/0.25 silver-plated construction. This hopefully keeps the bulk down but still having lowish impedance - the wire has a current rating of 15A, yet a CSA of only 0.933 mm2. And then all four bundles are wrapped overall in ptfe before finished with an expanding braided sleeving. The final result is a bit stiff and a bit lumpy looking. If I was making another I might forego the overall wrap of ptfe tape to make it more flexible. Of course this might make it even lumpier! However, as it is, it seems to get the job done.